Robert Skemp was born in born in Scottdale, Pennsylvania. A member of the Sundblom school of illustration, he first attended the Art Students League in New York in 1928-29, then went on to the Grand Central School of Art, studying in those years under George Luks, Thomas Hart Benton, and Harry Ballinger. But it was not until his association with Haddon Sundblom in Chicago that he came into his own as an artist. 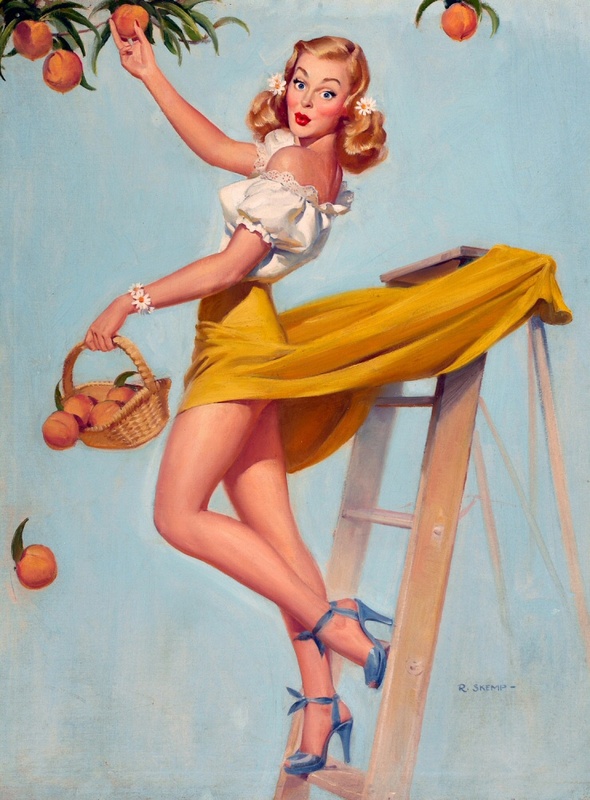 Skemp and fellow Sundblom protégés like Gil Elvgren, Al Buell, and Joyce Ballantyne, modelled their art in large part on that of the older artist. In the field of advertising, Skemp developed national campaigns for companies like Schlitz Beer, Studebaker Cars, the Ford Motor Company and, most notably, for Coca-Cola, where his images coordinated well with Elvgren's and Sundblom's work for the firm. He also created many story illustrations for mainstream magazines, including The Saturday Evening Post, Collier's, and Sports Afield. Skemp often adopted Elvgren's "situation" poses in his work, depicting girls caught off-guard in various activities. The use of primary colours was another characteristic of his work. He painted in a large format, usually 40 x 30 inches (161.6 x 76.2 cm), in oil on canvas. Skemp was a member of the Society of Illustrators and the National Arts Club. His paintings are in both public collections (the Pentagon, the United States Coast Guard, and the New York Public Library) and corporate ones (AT and T, Reynolds Tobacco, and the Franklin Mint). Between 1949 and 1953, Skemp won numerous medals from The Art Directors Club of Chicago. He died in 1984 from injuries sustained in an automobile accident in Southampton, New York, on the way to his summer home. Robert Skemp biography borrowed from The Great American Pin-Up by Charles G Martignette & Louis K Meisel.